The best shoes for CrossFit are those that will allow you to engage in different exercises without having to change your shoes, such as running, weight training, intense workouts and more. 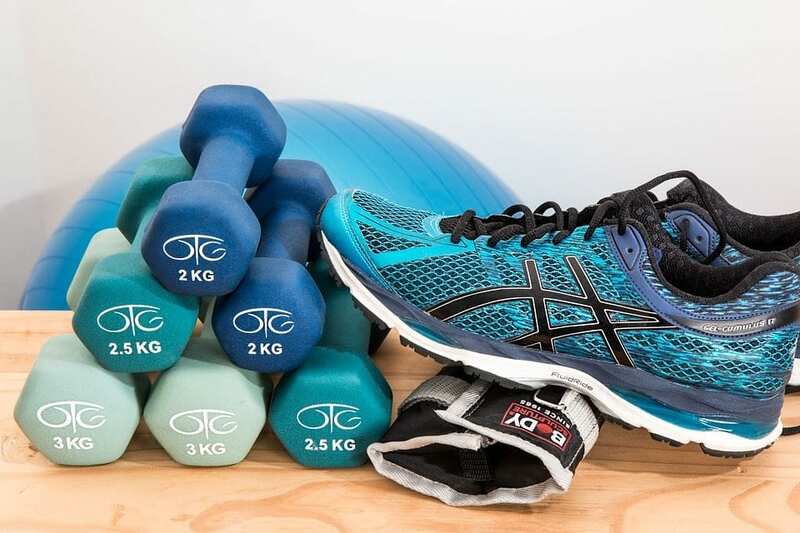 There are many shoes on the market that can be used for CrossFit, but the best ones will have the balance you need to cope with a variety of activities. When selecting the right pair you need to consider if the shoes have what it takes to be a great cross fit shoe. View the Best Crossfit Shoes, Below. What is the Best CrossFit Shoe for Women? What are the Best Budget Shoes for CrossFit? There are three different styles of CrossFit, running shoes that incorporate added support, weightlifting shoes with added cushioning and comfort and those sneakers that have the bare minimum but with added protection. Balancing stability, flexibility, breathability and comfort, along with support and protection as well as the best heel to toe drop, is what a great cross training sneaker will do and what makes them a unique type of training shoes. 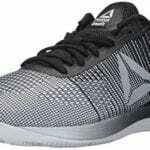 Reebok Men's Crossfit Nano 7.0 is the pinnacle of cross-training shoes. They are low profile shoes that are designed to have the stability, flexibility, and support you need in a cross trainer. The NanoWeave uppers are not only breathable, they are also solid enough to give your upper foot the support and traction it needs to cope with activities such as rope climbing. Protection comes in the form of a reinforced heel cup, power launch toe box and a 360-degree heel wrap, which keeps your foot securely locked into the shoes while you train. The heel-to-toe drop on these great CrossFit shoes is about 4mm which is perfect for you to be able to do a number of different activities such as running or weightlifting. The outsole of the shoes are sturdy and made from crystallized rubber. This is a very strong material and extremely durable, along with these qualities it also offers flexibility which is what you require in any cross training shoes. The traction offered is superb and suitable for multiple different surfaces both indoor and out. Stability comes in the form of an external heel counter which is great to help distribute your weight when lifting. No matter what type of exercise you want to include in your cross fit training, the Reebok can handle it. It offers you the stability, flexibility, and durability you need along with the Nano Weave uppers that are breathable and durable. These are superb CrossFit training shoes that allow you to push your limits. 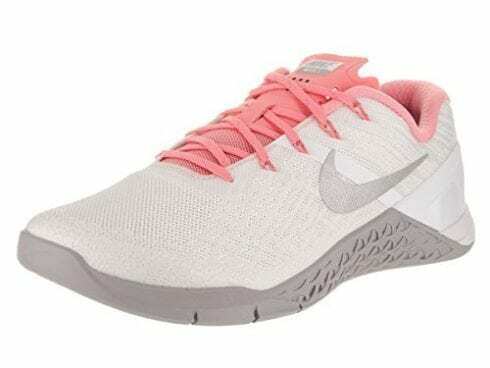 These NIKE CrossFit shoes are not only designed to offer some of the best traction, comfort, and performance from any cross training shoe on the market, it also provides the support and stability you need to compete in this world of sport. The upper section of these great shoes is made from mesh, which is durable and breathable. The drop-in midsole cushions your feet from the high impact exercise you do when cross training and is also very flexible. The cushioned forefoot and firm heel add to the shoes ability to cope with multiple disciplines when it comes to training, including lifting, running and more. The rubber heel provides the stability and firmness required to evenly distribute your weight across your feet specifically for when lifting weights. These are extremely lightweight shoes and the embroidered material in the areas that get the most wear. Not only will not add to the weight of the shoes but also ensure that it can take the harsh treatment it gets from cross training. The flywire cables will lock your foot down into the shoes and the mesh material on the heel and ankle add to the aeration of the shoes, allowing for adequate airflow keeping your foot cool and dry. When doing cross training your shoes need to offer you flexibility, stability, and protection. The Nike offers all of these qualities along with a breathable mesh upper with mesh at the heels and ankle, flywire cable to ensure your foot in locked into the shoe and firm rubber heel to help with lifting. The ASICS Men's Conviction X offers you a top notch cross trainer for a lot less money than a lot of other offerings and comes with some superb features that make it durable and comfortable. These low top shoes are designed with a RhynoSkin synthetic leather upper which is tear and abrasion resistant, this makes the Conviction X ones of the most durable shoes on the market today. With a heel drop of 4mm, the shoes are perfectly designed to tackle any form of activity, from weightlifting to running and everything in-between. The perforated inner sock liner ensures that your foot stays dry and cool during the training session and the integrated lace garage organizes your laces so that you will not have any tripping hazards. The firm and flat heel structure of these fantastic CrossFit shoes are designed to be able to spread your weight across your feet which is necessary when you are going to be lifting heavy weights. Designed to cope with squats, burpees, rope climbing and more, these lightweight, flexible shoes are our great value choice for CrossFit trainers for 2019. Offering all the best features of a cross trainer without the cost, the Conviction X is perfect for those who love to train. 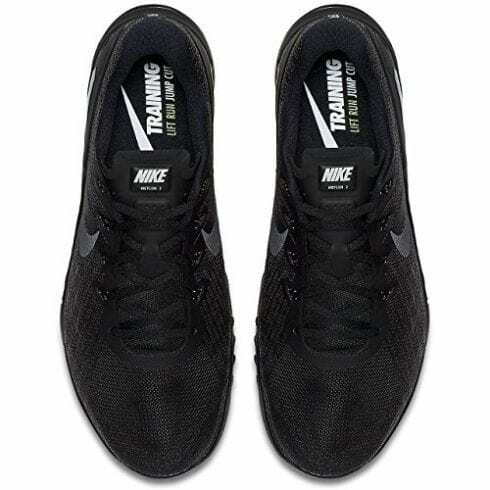 Features such as integrated lace garage, RhynoSkin synthetic leather upper, perforated sock liner and firm flat heel, these are the perfect shoes for CrossFit at a great price. Another great offering from Reebok, this time designed for the woman who loves to train. A NanoWeave upper gives you not only the breathability that is desirable in any cross fit training shoes but also the durability and great looks. The low cut design adds to the look, these are CrossFit shoes that any women would be happy to wear. The CMEVA Midsole offers the comfort that you require and the forefoot flex grooves. External heel counter and rubber outsole offer you the support and stability that you need to do lifting, rope climbs and any other exercises you want to incorporate into your training regime. Lightweight, and flexible the Grace TR is designed for the women who love to keep fit and toned. The shoes are also stylish and offer a high level of comfort and great traction on multi-surfaces, so you can use it for training in the gym or going for a run around the block. The rubber outsole is designed for high-abrasion making it extremely durable. A high-abrasion outsole, CMEVA Midsole, and forefoot flex grooves offer not only great looks but excellent stability, flexibility and support as well as comfort allowing you to tackle any kind of exercise from weights to ropes. Perfect for the lady who likes to mix her training up from intense gym sessions to short runs. For the lady that enjoys incorporating both running and cardio exercises into her gym regime, the Nike offers a drop-in midsole that is flexible and softer in the forefoot, which offers the versatility needed in CrossFit style shoes. The synthetic and mesh uppers offer breathability and support along with good looks. The firm-rubber, platform heel offers the stability you need to be able to do some explosive weightlifting. Embroidered reinforcement in the areas of the shoes that suffer the most wear and tear make this both lightweight and durable sneaker perfect for the lady who loves to cross train. Lockdown is provided by Flywire cables and the mesh on the heel and ankle of the sneaker ensure that your feet stay dry and cool throughout your session. Whether you are sprinting, doing wall exercises, climbing or lifting the sneaker offers you the stability, support, and flexibility you need in a CrossFit cross trainer. This shoe is designed specifically for the women who loves to keep herself fit and healthy and enjoys a varied training regime. The Nike Women's Metcon 3 has everything the women who love to train needs. Breathability, durability, and flexibility along with comfort and stability are the order of the day here. Lock your foot down with Flywire cables. Lightweight and perfect for any kind of exercise you choose to do. Adidas has long been a trusted name in athletic footwear and the Performance Women’s Gymbreaker is another example of their acumen in this field. These are CrossFit sneakers that cater to your every need, no matter what sport or exercise you choose to do. The low top design of this footwear is not only stylish but also durable and lightweight, perfect for the women who enjoy keeping fit and healthy. The sneaker for cross fit training offers a pivot-point outsole constructed from non-marking rubber give you the flexibility in the foot to be able to make rotational movements with ease. The BOUNCE midsole not only offers superb comfort but also converts your impact into energy. The adjustable floating mesh midfoot panels not only offer additional comfort but also great support when training. These shoes offer a sock-like fit, they are extremely lightweight and allow you the flexibility of movement you need when cross training. They have superb traction on any surface and can be used for any type of exercise or sport. One of the best shoes for women, this one is designed for the lady who loves to train. A stylish low top sneaker that offers the discerning woman who loves to vary her training regime. The sock-like fit of the footwear along with the pivot-point outsole gives you the flexibility you need. The adjustable floating mesh midfoot panels offer breathability and stability and the BOUNCE midsole turns your impacts into energy. The New Balance has designed a sneaker that offers the ultimate cross training for men, with a synthetic and TPU upper that is both breathable and durable it looks and feels great during your training sessions. The Revlite midsole and Vibram outsole with a no-sew application and meta support this is a product that offers the comfort and support any great CrossFit style footwear should offer. The Asym collar that incorporates a molded foam that allows for a natural fit in the heel and the 4mm drop between heel and toe is perfect for any kind of exercise regime. No matter if you prefer weights, or you like to incorporate burpees. Rope climbing or running into your training sessions the New Balance offers all the features that allow you to vary your regime to fit your mood. Stability, flexibility, and support are all hallmarks of these New Balance shoes for CrossFit training on the market for men today. A superb CrossFit styled sneaker for men who love to change up their training regimes between running, weights and intensive gym sessions. Revlite midsole, Vibram outsole and Asym collar with molded foam all offer comfort and support and the synthetic / TPU upper add breathability. The 4mm drop between heel and toe is perfect for stability when lifting. 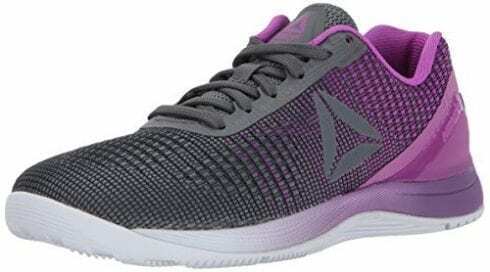 Reebok offers you a superb CrossFit styled sneaker for women and much like its brother offering the Reebok Men’s CrossFit Nano 7.0 it offers the best qualities you can get in a cross trainer. These are low profile footwear that looks and feel great. The NanoWeave tech uppers, with reinforced heel cup and power launch toe box offer not only great breathability and comfort but also protection and durability. The toe box and low cut design allow you to move easily and naturally and the TPU heel wrap and added heel piece will lock your foot into the footwear to ensure the best fit and great leverage when you are lifting. A crystallized rubber outsole is flexible to allow your foot freedom of movement while offering the best traction. The removable insole offers some of the best comforts you can get in a cross training sneakers and also allows you to substitute it with an orthopedic option if you want to. Your foot remains ventilated with the seamless upper construction which also adds to the shoe's durability. A superb sneaker for CrossFit that will have you pushing yourself to your limits when training. Comfort and style combine in this great footwear with NanoWeave tech uppers, reinforced heel cup, power launch toe box and removable insole to name just a few of its great qualities. Cross training has never been easier or more comfortable. 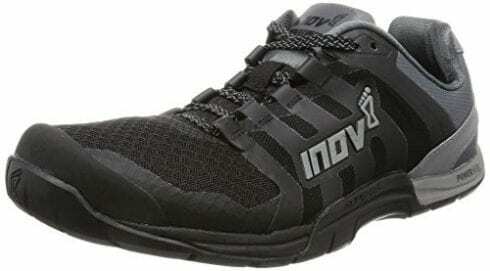 This Inov-8 Men’s F-lite CrossFit styled sneaker has all the qualities and features you need in a great CrossFit trainer, it is light, durable, and comfortable and offers the support and stability you require. This low-top cross trainer has a removable insole so if you suffer from foot issues you can easily replace it with an orthopedic insole. The snug and secure fit of the footwear allows you to have a stable platform to be able to do lifts, gymnastics and rope climb with ease. Incorporate box jumps and burpees into your gym regime, the footwear offers great traction with a synthetic sole and is incredibly lightweight with the F-lite 235 feature. No matter what type of training you want to do the Inov-8 offers you a close to the ground training that is up to even the most intense training sessions offering you the comfort, stability, breathability, and performance you expect from a cross trainer. A cross trainer that offers the man who enjoys an intense and varied training session the comfort, support, and stability they need for weights, runs and even gymnastics. It is a low cut sneaker that offers you a removable insole, synthetic sole and a snug secure fit with the F-lite 235 feature making it ultra-lightweight and extremely breathable. Jam-packed full of features that will make your training session a pleasure, you can run, climb or lift with these CrossFit shoes that are lightweight, breathable and offer you great protection. A seamless one-piece upper construction with SuperFabric is abrasion resistant and durable. The guard plates are flexible with a mesh base layer which creates a 360-degree shield for your shoes. The high carbon lateral and medial guards are there to provide you with extra protection, especially on the sidewalls of the product. The outsole of the sneaker offers exceptional traction for any surface area, great for both indoor and outdoor activities. The lug pattern is what provides the superb grip, flexibility, and support that you need in a cross-training styled sneaker. The SuperFabric uppers allow for great airflow making the footwear breathable and also lightweight so you will not be weighed down by your shoes during intense gym sessions. A superbly designed CrossFit styled sneaker that is designed to give you the best comfort, stability, flexibility, and support you can get. Designed to cope with a variety of exercises, including running, lifting and even gymnastics. The SuperFabric upper is breathable and the seamless one-piece upper construction is the ultimate in support and comfort. There are many people who take up CrossFit training using their old running shoes and find that although the footwear is perfect for running it does not cut the mustard when using it for cross training. The reason for this is that a running styled sneaker does not have the ability to cope with a lot of varied activities and their structure is vastly different from that of a great CrossFit training style sneaker. CrossFit shoes are unique, in that they draw from the different types of shoes and take the best of each, blending them into one great product that can be used to practice various different sports and cope with a variety of different training activities. CrossFit shoes are designed to be able to cope with a lot heavier impacts. The ability to support your feet and distribute your weight evenly when lifting and to protect your feet when doing other high-intensity exercises while in the CrossFit box. Cycling more your style? See our full guide on cycling shoes right here. The drop that the cross training styled sneaker has, which is usually around 4mm is what sets this apart from running shoes. Running shoes are designed to move your foot forward from heel to toe, giving you a boost when running. Cross Training sneakers are designed to support your feet in a number of different ways while doing a variety of activities. Technology improves every year and every year the manufacturers will produce another great trainer to take your experience to the next level. When looking for the perfect CrossFit styled footwear, you need to consider a number of things, and we have listed a few of the most important here for you to consider when selecting the right one for you. Remember you are looking for all-round ability when deciding on your CrossFit style sneaker and one that can endure the harsh treatment they go through as well. The material used in both the uppers and the sole are important. You need a sneaker that has a breathable lightweight material in the upper part of the footwear. It must be flexible and supportive and importantly durable. A material that is abrasion resistant is best. This goes for the outsole of the footwear as well. When you do Cross Training your shoes take a beating as you combine a number of different exercises including running, lifting and even gymnastics as well as for intensive training sessions in the gym. Support in the upper part of the footwear is imperative when considering which option to purchase. This is especially relevant to the midsole of anyone that you will choose, as you will be doing things like climbing and more. Traction on the sole is important and so is traction on the upper to help you with these types of exercises. The style of the footwear is very important. Most Cross-Fit shoes are designed as low top sneakers that fit like a glove on your foot. This is because you will be doing varied activities and your footwear needs to provide the support for all of them. The drop of the sneaker is important as you cannot have a large drop, such as is found in running shoes, if you are going to be doing lifting or climbing. The drop in your cross training sneakers should be around 4mm in order for you to get the platform you need with the support to be able to do weightlifting in particular. The shorter drop helps your footwear to distribute your weight evenly across your foot giving you not only leverage but a stable base to work from. The style of your cross training footwear should be lightweight, low top offering that has exceptional traction and support both in the upper and the bottom of your sole. The insole of the footwear is what must cushion your feet against the impact of the various exercises. A sneaker that has a removable insole is best so that you can replace it with an orthopedic insole if you have any foot issues. It should be padded and offer you the support you need when running, climbing or lifting. The insole is what provides your feet with the cushioning it needs and its importance when it comes to selecting the right option cannot be underestimated. Choosing an option that has an insole that is not up to standard could leave you with blisters, sore feet and toes and generally a very unhappy cross trainer. The outsole of your footwear should be hard and quite firm, although remain flexible. The reason for this is that you need a sneaker that will stick to the floor, and gives you the stability you need in order to do the lifting that goes along with cross training. Although a hard soled sneaker is preferable it should still be flexible enough for you to tackle other exercises. The balance of support and flexibility is what makes a great CrossFit styled sneaker. Finding the right one for you will depend on your personal choice and which kind of exercise you lean towards mostly when training. As long as you get a pair that has the stability, durability, and support you need along with breathability and comfort, you cannot go wrong. 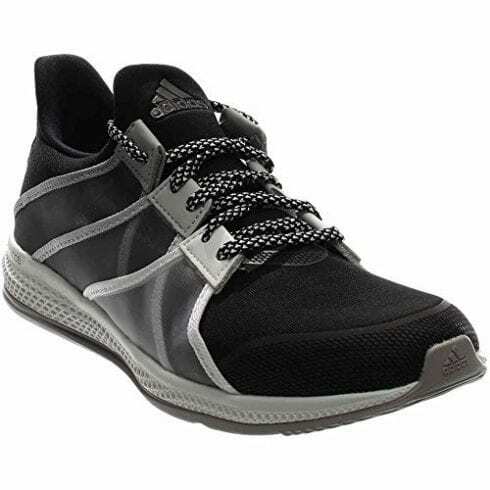 CrossFit trainers are shoes that are designed for those people who like to vary their training sessions. They are not designed for one single activity or one single sport but cater for a number of different ones. They will have a low top, to give your foot a range of movement, hard sole for stability and support and of course comfort with an inner sole that is padded and will help to absorb the impact when jumping, climbing or doing other high impact intensive exercises – click to view the study here. Your CrossFit styled sneaker should be able to cope with rope climbing, weightlifting, doing burpees and other aerobic exercises. They should also have a great fit to support your feet at all times as cross training also involves activates such as gymnastics. Cross trainers should have a firm yet flexible sole that will offer you the support and comfort you need when doing various different activities. They should have a breathable and durable upper to cope with the rigors of this very intense sport. They should also have a smaller drop than a running footwear, in the region of 4mm is about right for these kinds of these kinds of shoes. The reason for the low drop is that you will be doing weight training when doing CrossFit and you need some footwear that can evenly distribute your weight across your feet. They also need to remain fixed to the ground to give you the stability you need to be able to perform these activities. Comfort and the ability to absorb high impact is also a requirement for these types of shoes as well as protection. The outsole should be abrasion resistant and offer great grip on multiple surfaces, from the mat to the circuit and also in rope climbing and keep a firm grip when weight lifting. 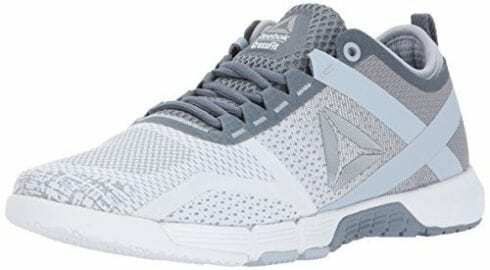 Essentially when you are looking for a CrossFit style sneaker you will look for an all-around performance footwear that is also highly durable. CrossFit is very hard on your sneakers so an upper that can stand the heat is vital, or you may be having to change your shoes very often. CrossFit is intense and high impact and your footwear should be a reflection on that, one that draws from other athletic shoes their best qualities and combines them into one great offering, that is the ultimate cross training styled sneaker. Women have different demands on their Cross training shoes in terms of style and design. However, the basics remain the same. A woman’s cross trainer needs to have all the same characteristics as a man’s version. They need to cope with a number of different activities whether it be mat work, rope climbing, weight lifting or intensive gym sessions. Almost all of your popular athletic sneaker brands such as Nike and Adidas have CrossFit shoes designed to cater for the women who love the sport. They are designed to cater for a foot that is a lot narrower and smaller than a male’s foot, although the comfort and support or the shoe are very similar to a man’s version. Designed to help you cope with activities ranging from weightlifting, to cardiovascular, calisthenics, and bodyweight exercises, the CrossFit shoes are unique unto themselves. Having to combine all of these for training creates some problems with stability which is needed to lift weights and comfortable enough to make doing burpees or running not so hard on your feet. CrossFit shoes are designed specifically for all of this and that is why getting a great training shoe is essential if you are going to start cross training. Luckily there is a wide variety on the market, ranging from budget to extremely expensive. Most brands of shoe manufacturers put out at least one line of cross trainers that you can choose from. The CrossFit shoe differs from your regular sneaker, tennis shoe or basketball shoe. It has to cater for a number of different activities all rolled into one as that is what CrossFit is. CrossFit shoes will combine the greatest qualities that there are to be found in basketball shoes, tennis shoes, and gym shoes to give you a shoe that you can use in any discipline, including lifting weights. The most perfect of the CrossFit shoes on the market include solid, sturdy soles that will help to distribute your weight and allow you to lift easily keeping your feet stable on the ground. They will have excellent insoles that will absorb the impact of your activities such as burpees, and they will have a fit that feels like wearing a pair of socks. This is important as the tighter and more secure the fit, the more support you will get from your shoes both in the upper and soles. The technology today is used to improve the cross training shoe to the extent that they now offer an all-around ability so that you can use them no matter what type of activity you are doing, whether indoors or outdoors. 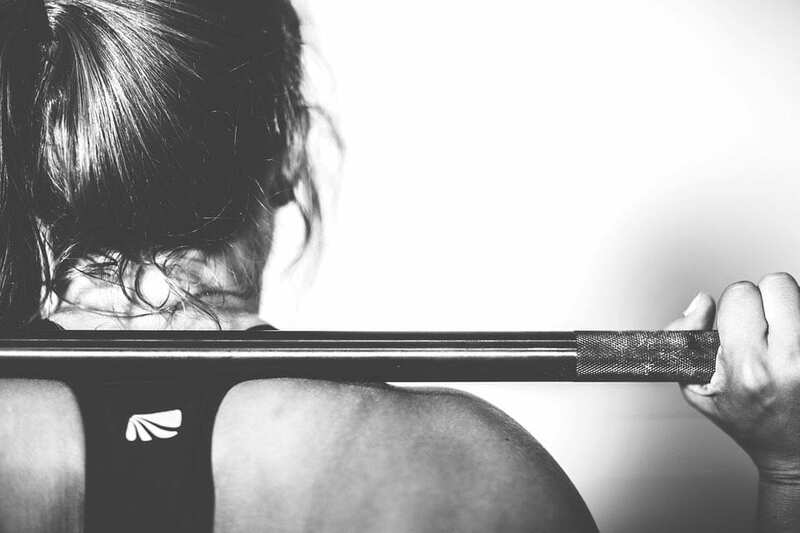 So we have all experienced the thrill of trying out something new, we have all had that inspiration to get into the Crossfit gym (click for study) and to make changes to our lives to make them more healthy, and, unfortunately, we have also all experienced losing interest in that very activity a few months later. There is nothing wrong with trying out something new, as that is how we learn what we like and what we don’t, however doing so can be costly. Financial investment in equipment is always one of the downsides of trying out something, just as when you try out cross training. CrossFit shoes can be very expensive, however, there are alternatives out there that offer the same kind of features for a fraction of the cost. Having the appropriate footwear for whatever sport you are going to be taking on is important as if you do not, you could find yourself getting injured. Having sore feet, developing blister and more, and of course, having to replace the low-quality shoe at short intervals. When CrossFit training you need to have a shoe that offers the right balance, stability, support, comfort, and protection in order for you to master the activities and workouts that are very demanding in this sphere of exercise regimes. When CrossFit training you will be doing so much more than running and cardio work, you will also be doing rope climbing, weight lifting and more. Having a shoe that can cope with all of these elements combined is why you need a CrossFit shoe. Luckily there are a number of cheaper options on the market and they work equally well for the newbies to the sport. Just like any other sport, as we said, you need to get the feel for it and although this type of training can be very addictive, you may find that the intensity of the sport is too much for you and stop doing it a few months or weeks in. This is where having bought the most expensive pair of shoes on the market can be very costly. The key to choosing the right shoe is to ensure that it offers you the stability you need to take on all the various activities you will be doing. Ensure they have a low drop, which is the heel-to-toe height of the shoe, as this will determine if the shoe will be able to spread your weight evenly which is essential when weight lifting. They should have adequate padding and a firm, yet flexible sole. They should also be durable. CrossFit is a rigorous sport that is very demanding on your feet and shoes, so durability is a big factor when selecting the right shoes. Most brands make a reasonably priced version of these great shoes, Reebok, ASICS, Adidas, and Nike all have an entry level shoe that costs a lot less than your high-performance shoes used by the pros at CrossFit training. 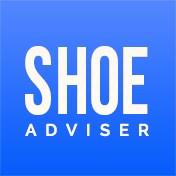 If you do your homework and read up on what people think of the different offerings online, taking into consideration what you will need to perform at your optimum level, you will be able to buy a very well-priced shoe to suit your needs. And when you have made the decision that CrossFit training is what you want to do and you want to take your training to the next level, you can always upgrade your shoe to the performance shoes that are priced a little higher. Having a CrossFit shoe that suits your needs, no matter which brand it is important and you want to get into the cross fit box and make an impact. 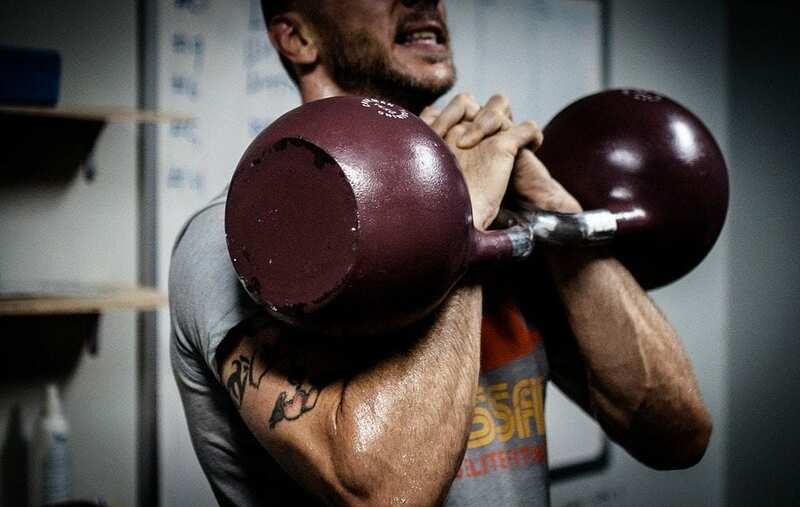 CrossFit entails multiple different exercises and activities. Due to this, you need a shoe that can cater for all of them. The right style, support, and stability, as well as comfort, is crucial if you are going to be cross-training. 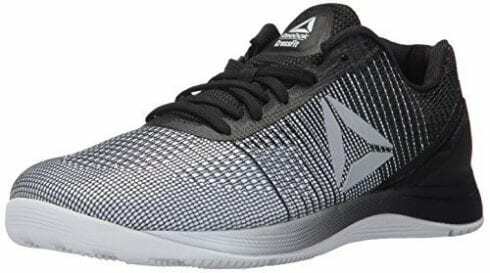 Reebok Men’s Crossfit Nano 7.0 is the pinnacle of cross training shoes and are our top choice of shoe in 2019. A low-profile shoe that is perfect for CrossFit. It offers the stability, flexibility, and protection you need when doing cross fit. The features and The uppers are Nano Weave, offering the breathability you desire in a shoe where you are going to be doing some intense training in them. They also offer the greatest protection for your feet with the reinforced heel cup, power launch toe box, and 360-degree heel wrap, which keeps your foot locked into the shoe no matter what exercise you tackle. The heel-to-toe drop on the shoe is 4mm which is best to be able to move from weightlifting to running. The outsole of the shoe is crystallized rubber, which is not only strong and durable but also offers the flexibility you need in a CrossFit shoe. The shoe offers great traction on multiple surfaces. The external heel counter offers the stability you need when doing engaging in weightlifting. This is a CrossFit shoe that is equal to the challenge of rope climbs, burpees, and weightlifting. No matter what your exercise regime, the Reebok Men’s Crossfit Nano 7.0 fits the bill perfectly. NIKE Men’s Metcon 3 is one of the most well designed CrossFit trainers on the market and out premium choice for 2019. When you are cross training (view the comparative study) you need a shoe that will allow you to move from rope climbing to weightlifting to running and more, the Nike does that by offering the stability, support and protection you need to perform at your best. The mesh upper of the shoe is breathable and durable. The drop-in midsole offers you a flexible and cushioned forefoot and a firm heel, perfect for training as well as short runs. The stability and firmness of the rubber heel are best for lifting. The shoe is both lightweight and durable with an embroidered material in the areas where your shoe takes the most wear, offering great protection without adding any extra weight to the shoe. The flywire cables on the shoe offer you a wonderful lockdown and the mesh material on the heel and ankle ensure that your foot stays aerated, cool and dry during your workouts. No matter if you are doing weights, rope climbs or sprinting, the Nike has the features you need to get you through the most demanding of exercise regimes in comfort. 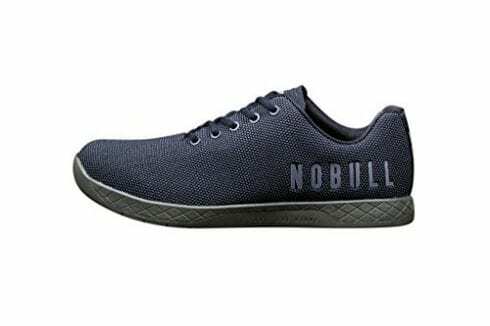 A low-top shoe with a RhynoSkin synthetic leather upper that is both tear and abrasion resistant and makes the shoe ultra-durable The heel drop is 4mm which is perfect due to a number of different exercises. The inner sock liner which is perforated ensures that you get optimal moisture drainage and it also helps with the breathability of the shoe. The integrated lace garage is great in terms of keeping your laces organized and prevent you from tripping over loose laces. Being specifically designed to cope with a variety of different exercises, the Conviction X offers the stability you need when lifting weights with the firm and flat heel structure. It is also designed to cope with very intense workouts including squats, burpees, rope climbing and running. A lightweight and flexible shoe that offers you all the features or your more expensive trainers, these lightweight, flexible shoes are our great value choice in terms of Cross Fit trainers in 2019. We hope you enjoyed our article on "The 10 Best Shoes for Crossfit", if so, please share and rate it. Really happy with my purchase, I went for the Asics Mens Conviction x cross trainer shoe as they were a great price and feel very flexible and secure, I am looking forward to spending time at CrossFit with these shoes.